Art-choir is a new youth collective that consists of Glinka Nizhny Novgorod State Conservatoire students. Suggesting scenic interpretation of musical compositions, it realizes an idea of choral theatre in its creativity. The collective was founded in 2011. Its conductor Galina Suprunenko is the organizer and creative inspirer of the choir. The repertoire of Art-choir consists of vocal and plastic versions of individual works such as “Pavana” by G. Fauré, “Bolero” of M. Ravel, folk songs arranged by M. Bronner, choral triptych “Ot vesny do oseni” (From spring to fall) and concert-rapsody “Pesni serdtsa” (Songs of heart) by E. Fertelmeister (choreographer L. Akinina), and also choral shows “Sentimentalnaya Sarabanda” (Sentimental Sarabande) and “Dykhanie Vselennoy” (Breath of the universe) (choreographer – E. Bogdanova), each of them is unique in its concept and embodiment. 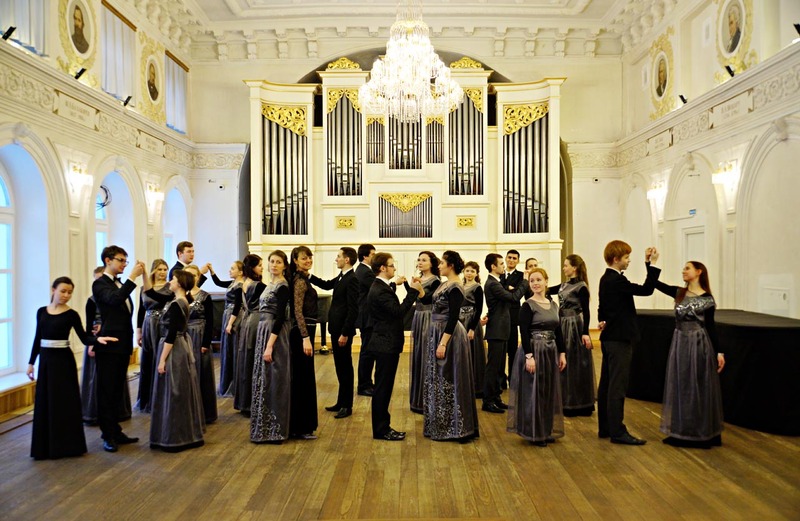 Concerts-shows connect music of different eras and styles from madrigals of С. Monteverdi, polyphony of J. Bach to modern music of B. Britten, Ē. Ešenvalds, E. Whitacre, P. Vasks etc. The living action of Art-choir on stage, coming to the eyes of the audience, brings together all present by a united spirit of co-creation and empathy. Galina is a Senior Lecturer at Choral conducting department of Glinka Nizhny Novgorod State Conservatoire. She’s a laureate of All-Russian competition, Ph.D. in History of Arts (dissertation topic is “Choral theatre as a genre”). 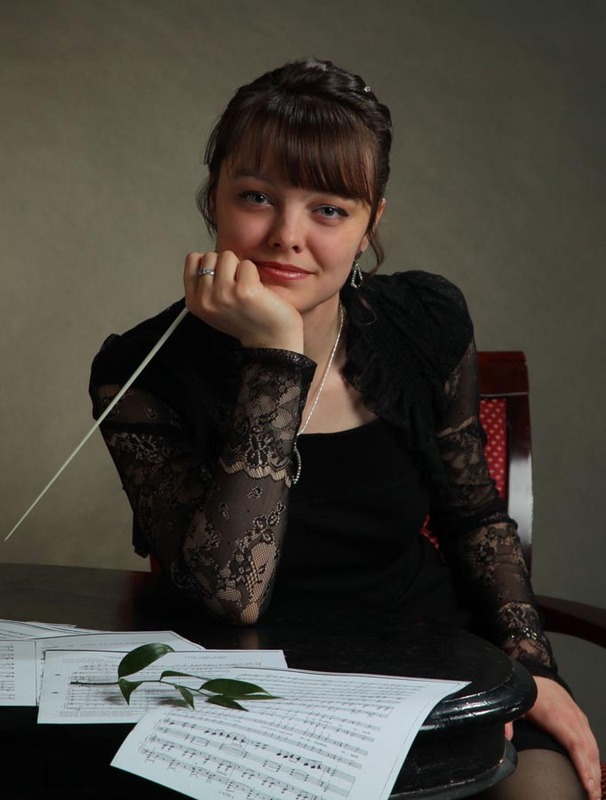 Working as a choir conductor at Choral conducting department and Musical and pedagogical department, and also as a singer, Galina leads an active creative activity. She participates in concerts, festivals and season ticket events of Nizhny Novgorod State Conservatoire. Galina is the art director of Art-choir since 2011. Developing an idea of new direction in choral performance – choral theatre, Galina Suprunenko creates choral programs with a common dramaturgy, uniting the choral singing with plasticity, poetry and painting.